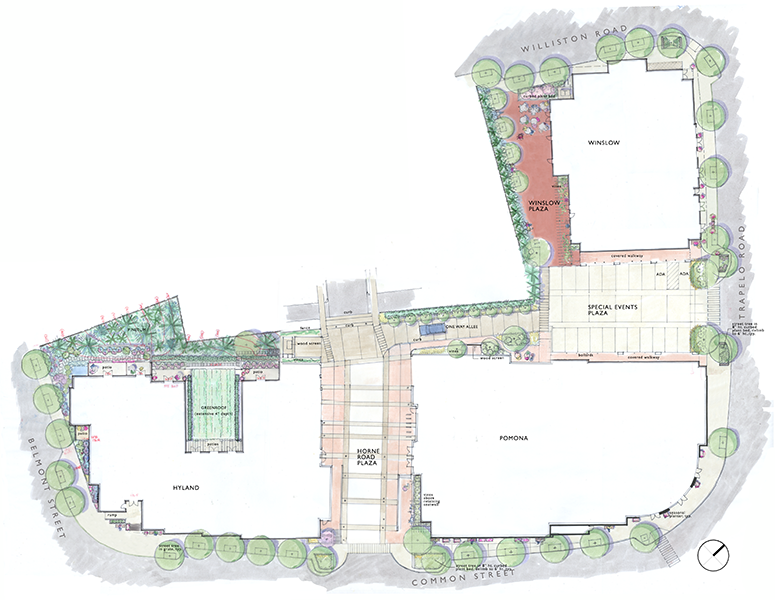 The Bradford is a mixed use redevelopment of two blocks in the center of Cushing Square, Belmont. Outdoor seating, dining areas, walkways and short-term parking are located over basement level garage which spans across much of the site underground. Improvements also include a semi private garden courtyard for residents located over the garage structure and rooftop outdoor spaces.